Quoting the Federal Service for Military-Technical Cooperation, the report said, "Russia is prepared for prolonging the license and building up the production of T-90 tanks in India in connection with the Indian government’s decision to purchase more tanks for its armed forces." The government-owned Ordnance Factory Board is the production agency for an armoured vehicle for Indian Army. Earlier this week, world’s leading defence publication Jane’s had reported that India’s Cabinet Committee on Security, the apex executive body for defence, approved the purchase for 464 T-90 MS which is the advanced version of the T-90s in the Indian inventory. The manufacturing will be carried out through Russian supplied kits which include engines and weapons package. The programme is expected to cost around one and a half billion dollars to exchequers. 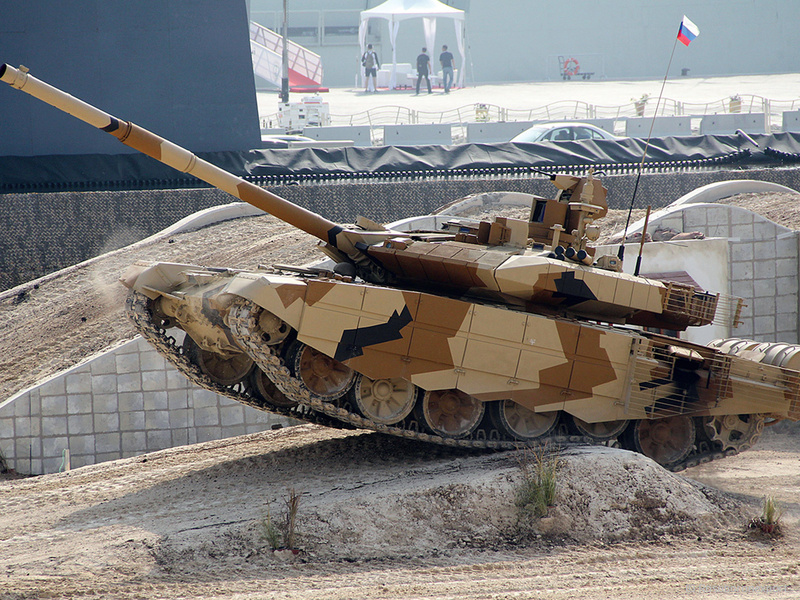 The T-90 production is 90 per cent indigenised. According to sources, OFB is expected to submit a proposal for the purchase of kits to Russia in the second quarter. Since MS version is different from the earlier version, yet there is a substantial commonality between the two versions which will not pose much of a problem in the indigenous production of the T-90MS. “In 2017, India agreed to prolong the tank production license. The deputy chief of Russia’s federal service for military-technical cooperation, Vladimir Drozhzhov, told TASS that Russia was prepared to "meet any request from the Indian partners regarding the production or supply of T-90S tanks," it said. T-90s are deployed on the western front against Pakistan. The night firing capable MS variant will certainly make Indian armoured far more effective against the enemy. India is expected to operate around 2000 T-90 tanks post 2020.